Ready for my random post of the week? Last week, as you know, was Spring Break. The hubs had to work, so me and the kiddos headed up to visit my parents at the lake. We have an old mobile home there, and while it’s not fancy, it still feels more like home to me than any other place in the world. Nonetheless, it’s been a while since we were there, and it needed some major cleaning. It’s just a happy place. We have no wifi, cable tv, or even very good cell phone service out there. It’s so peaceful. We spend our time outside, or around this coffee table playing games and working puzzles. Yeah. So, I’m going to need one of those. Can you even imagine? Some people are just so dang talented. Y’all. I could make a million more things. It’s so fun, and the process is so simple, yet it still takes focus. It’s one of those things that’s a little meditative, which I love. 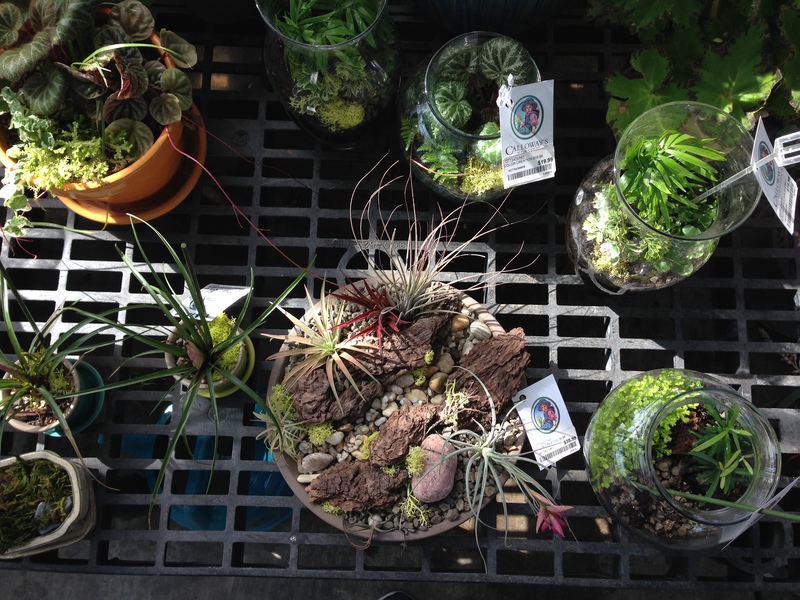 I love the air plants, mosses, and tiny ferns they used. It’s like miniature gardens. I’ve been inspired by these for a while, and it may be about time I try it. When I got home, I was in the mood to bake. 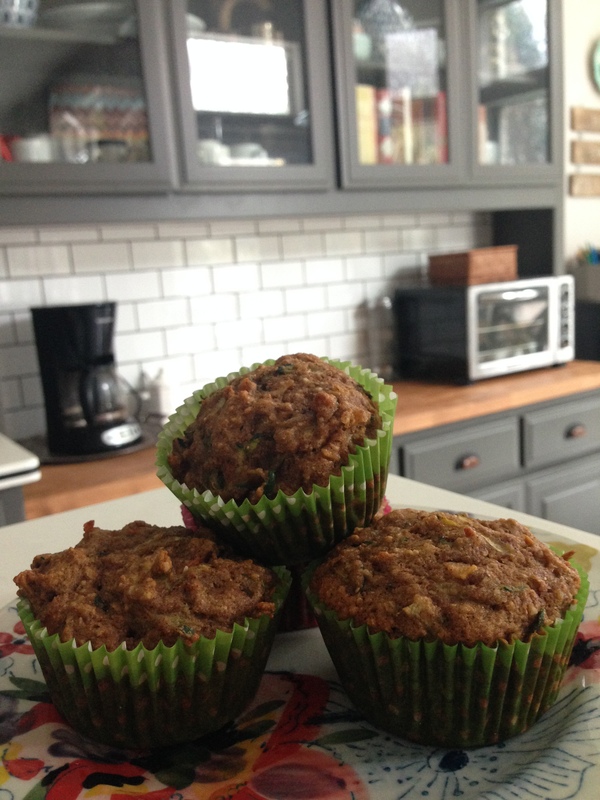 Something in me has been craving zucchini muffins, and while most zucchini bread recipes are super bad for you, I came across this recipe for Zucchini Bread with Apples and Carrots and let me just say: Holy moly. Make them. Eat them. They have whole grain goodness and no refined sugar. Plus, they are loaded with veggies, so throwing them in the kids’ backpacks for school is a good idea. Well, y’all, that’s pretty much it for my week. I hope yours has been swell. It’s almost Friday, so if not, keep on truckin’! No menu this week because it’s spring break for us. We will be flying by the seat of our pants, so to say, but with warmer weather ahead I’m sure the fare will be getting fresher and leaner. I’m finding myself craving fresh vegetables and grilled fish. 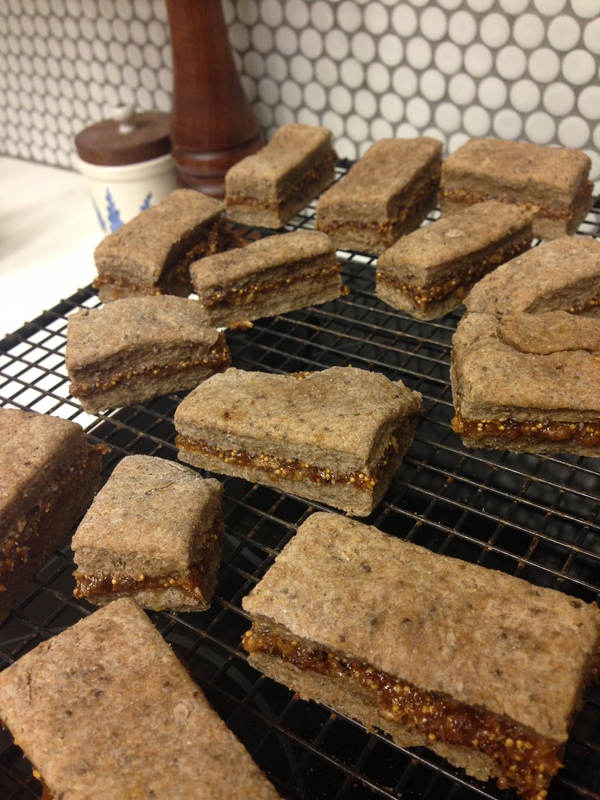 Whole Wheat Fig Bars. We had some while we were hiking in the Pacific Northwest last summer from a roadside farm stand. We’ve craved them ever since. These were a delicious vegan option, but they weren’t exactly what we are looking for so the search will continue. 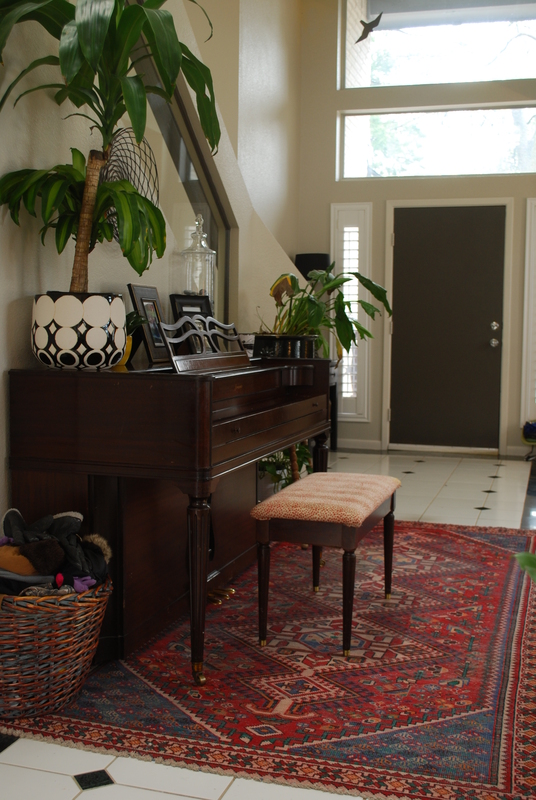 I’ve also continued tweaking my foyer. 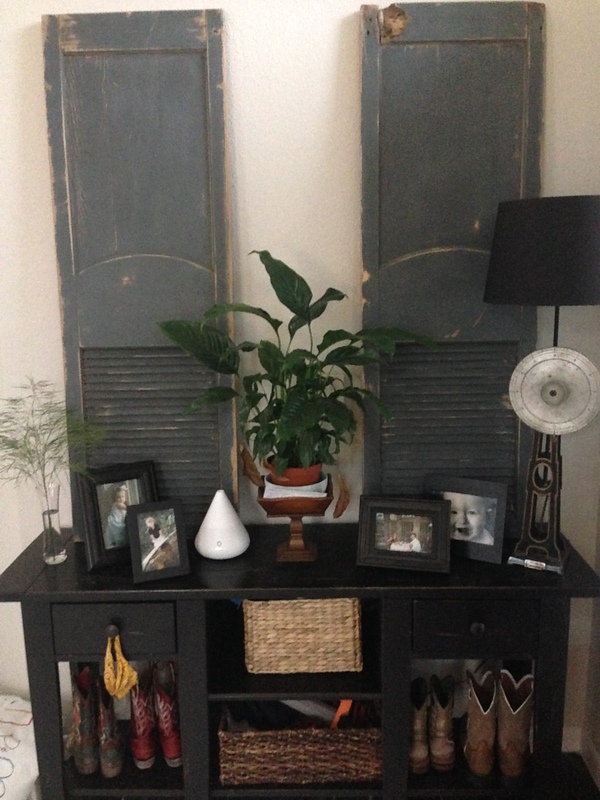 I added the shutters to the console table to hide the light switches. They are in a very unfortunate position (almost right in the middle of the wall) so, leaning something is my best option for hiding them, while still being able to reach them. We still haven’t had the painters out to finish the ceilings, so nothing is permanent. But for now, at least it’s not bare. 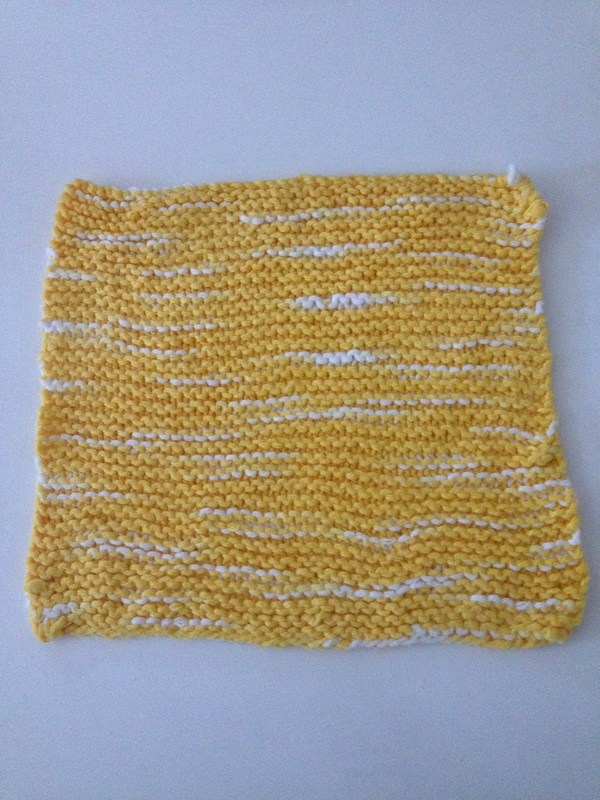 I made this pitiful little washcloth. I am still very much learning to knit, so I love this thing a little too much. 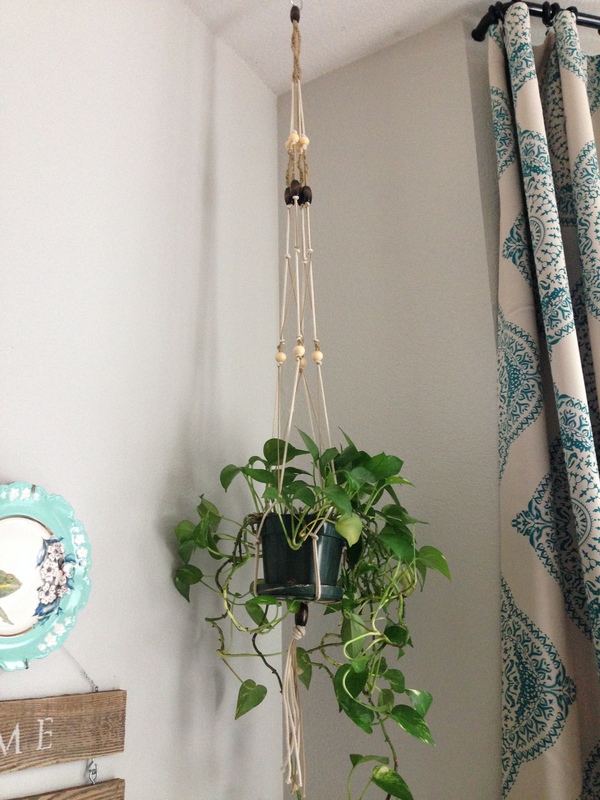 Remember my post from last week about wanting to learn to macrame? Well, I am doing that too! 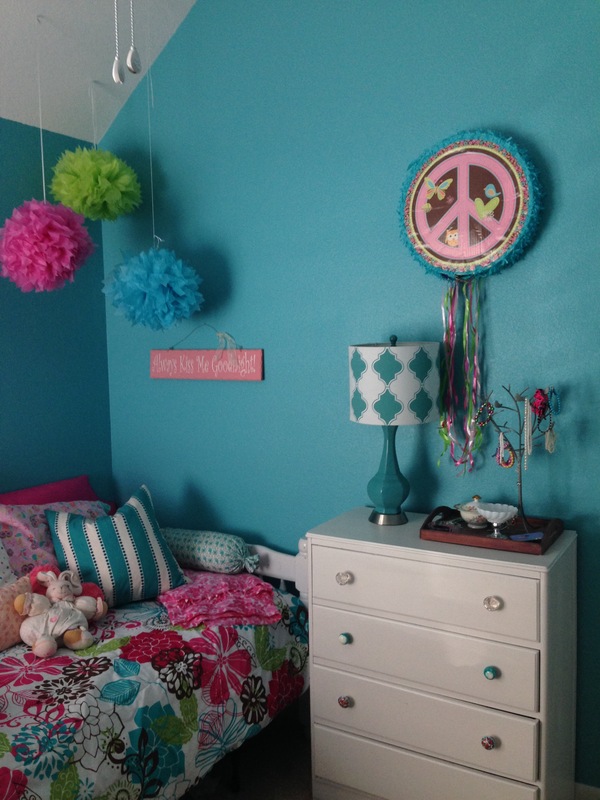 We finally wrapped up Avery’s room, including giving it a good cleaning and hanging all of her pretties. I’ll work on a full tour after our break. 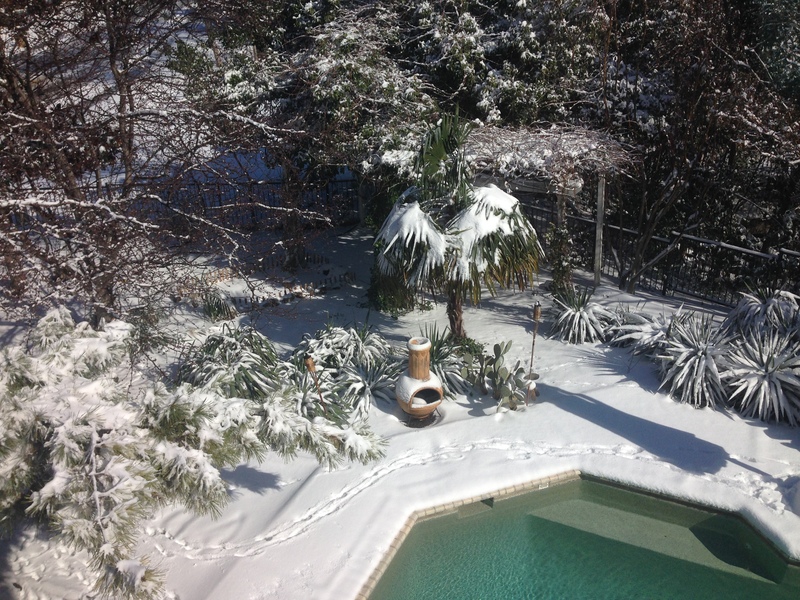 Mother Nature sent us a farewell to winter gift last night…. 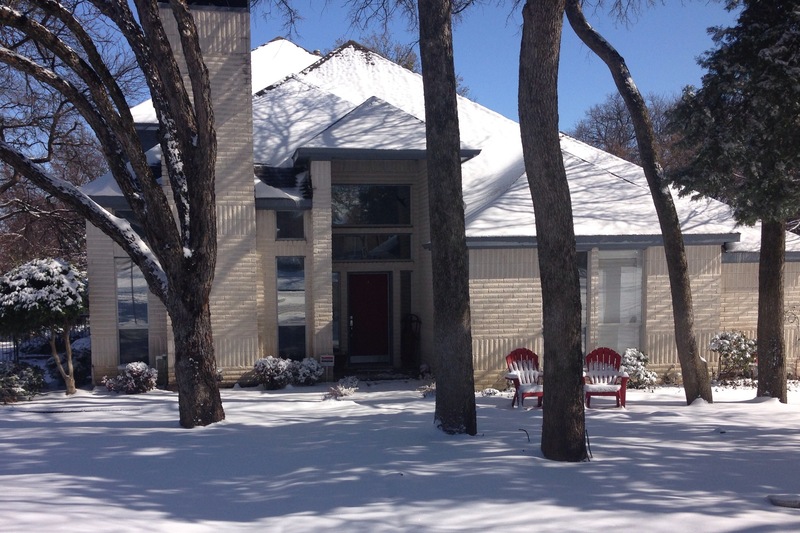 Not only did she drop about 4″ of snow all over north Texas, but she wrapped it up in sunlight, making everything shine. And while I did get out and play in it a bit this morning, my baby boy got sick overnight, so I’ve spent most of the day snuggled in with him. While he’s been watching movies, I’ve had time to play around on Etsy and come up with my current list of favorite items. I think you could say I’m still rolling with the modern boho vibe going on lately. 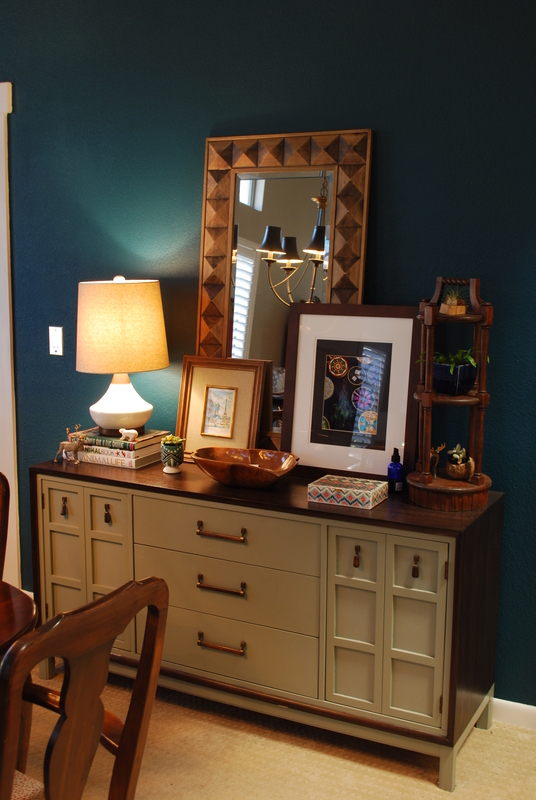 It may not be the look for everyone, but the tribal patterns, earthy textures, and casual elements would blend seamlessly into any decor. 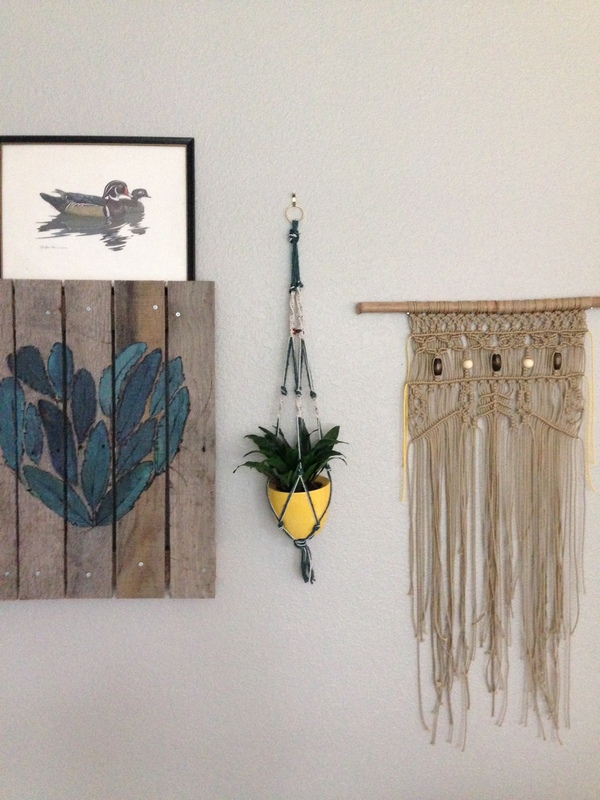 First up is one of my newest finds on etsy: Sarah Neubert has such an eye for textures and colors, and she makes the most inspiring wall hangings. I’d love to have one on my walls someday. I’ve been eyeballing this vintage cork lamp from InMyIgloo for weeks. No doubt someone will beat me to it now, but I had to share. I love the shape and the texture. Mid-Century deliciousness. 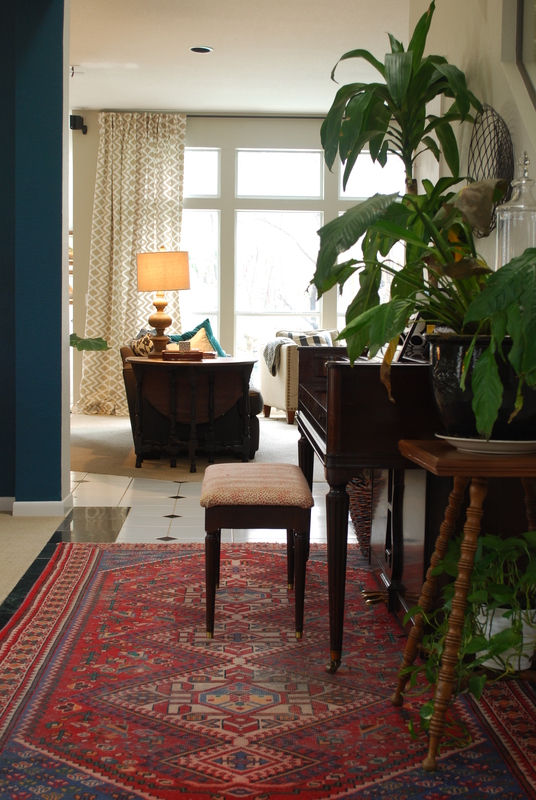 Y’all have to know that vintage rugs, particularly Turkish rugs are uber popular now. Actually, they’ve been popular forever, but I guess you could say that the “general public” is catching up. 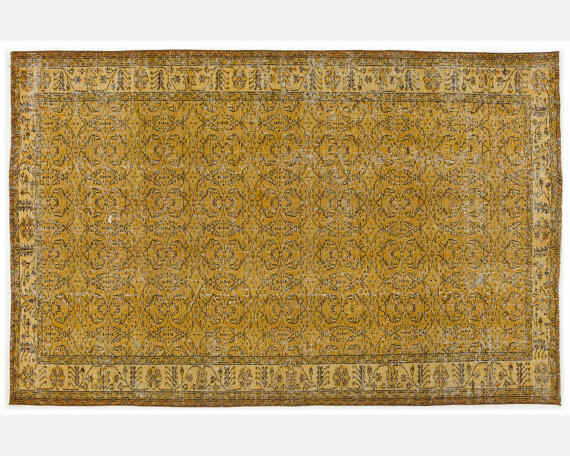 This overdyed yellow one from Unique Rug Store belongs in my study. If only it weren’t such a hot mess right now. Do you have a boring chair that needs some fun color? Drape this vintage Peruvian blanket over the back and that won’t be an issue anymore. Or use it as a table runner, or as a scarf. Just get one and you’ll find a spot for it. I mean, look a those colors. Don’t you need them in your life? 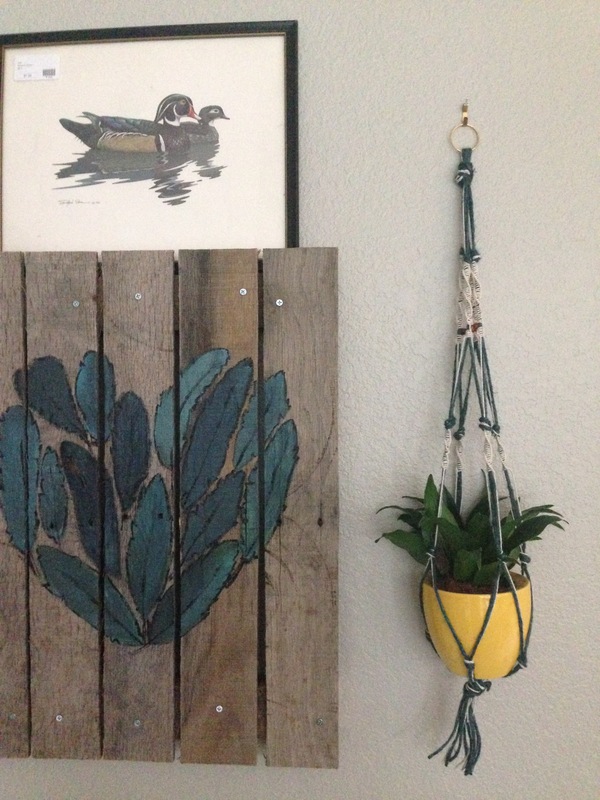 The inner hippie in me really wants to try making one of these macrame plant hangers. 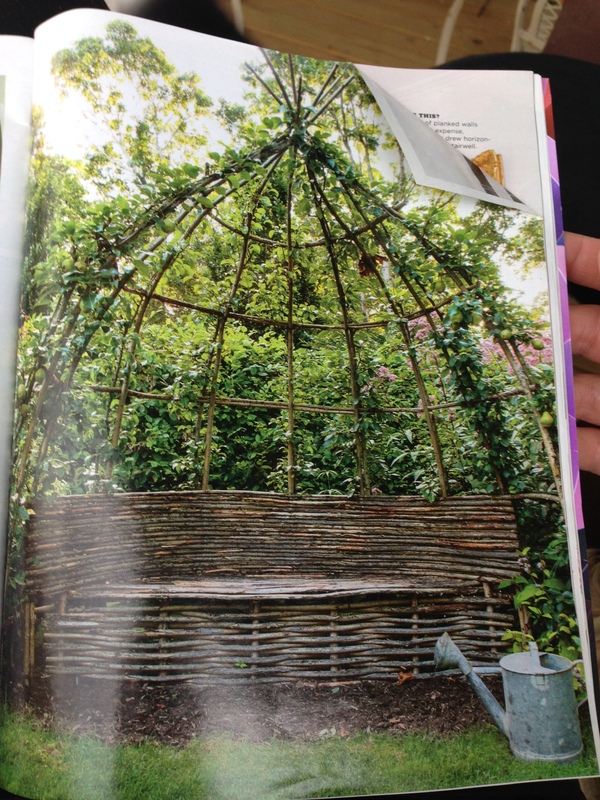 I’ve got so many places I want to put plants around here, including hanging them from the ceilings and in windows. This little cutie is only $18 though so it may be worth my time. Finally, I’m loving this little boho bag. The pattern is versatile and the size and style is perfect for any casual outfit. I think I need it. Sorry I didn’t post a weekly menu this week. 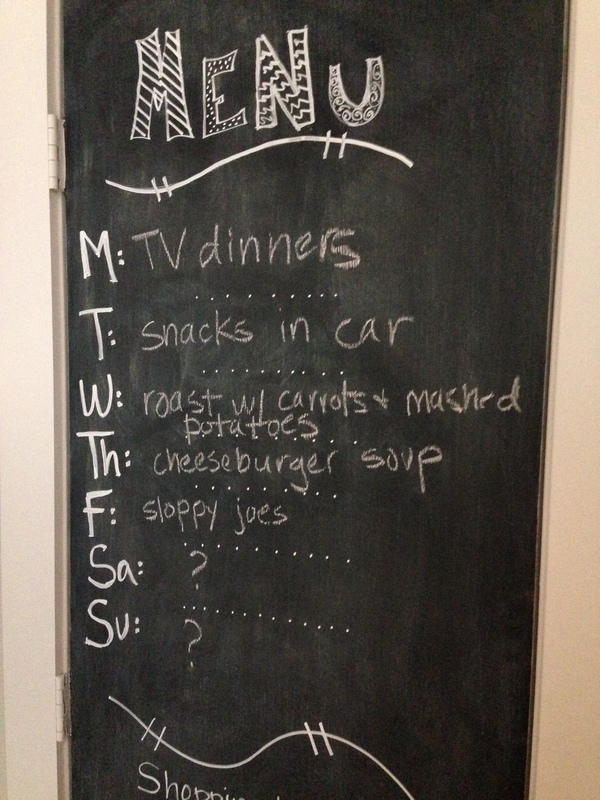 Our schedule is busier this week than usual, so we are pretty much having snack night every night except last night. 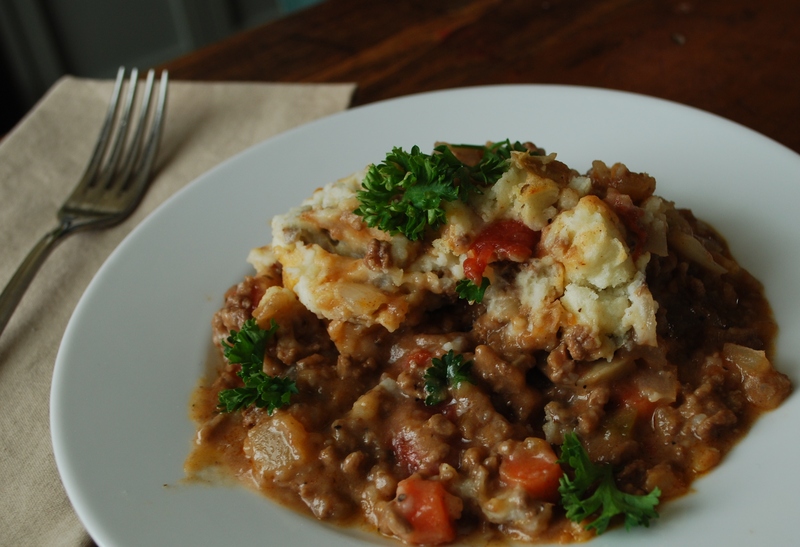 We had Shepherd’s Pie, and I highly recommend you try it sometime, particularly on a cold night. The last few days, I’ve been spending time tweaking a lot of things. 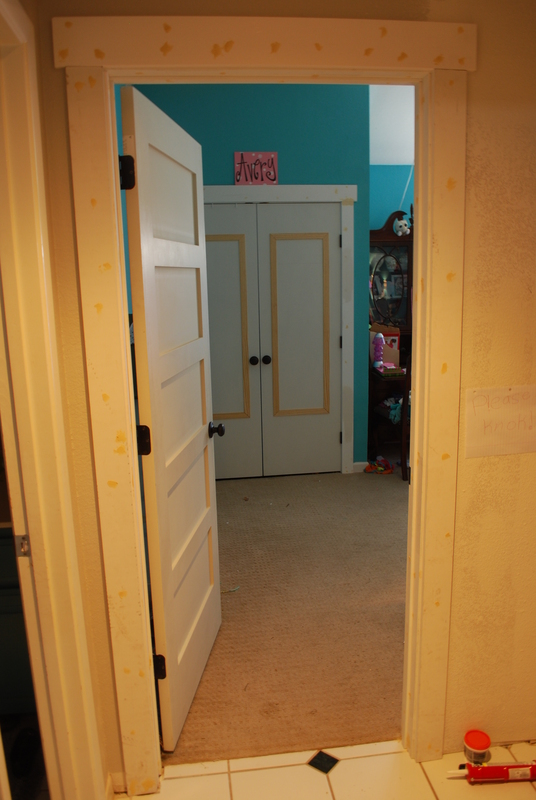 We are still underway on Avery’s bedroom, which has taken entirely too long, thanks to a really annoying door fiasco. 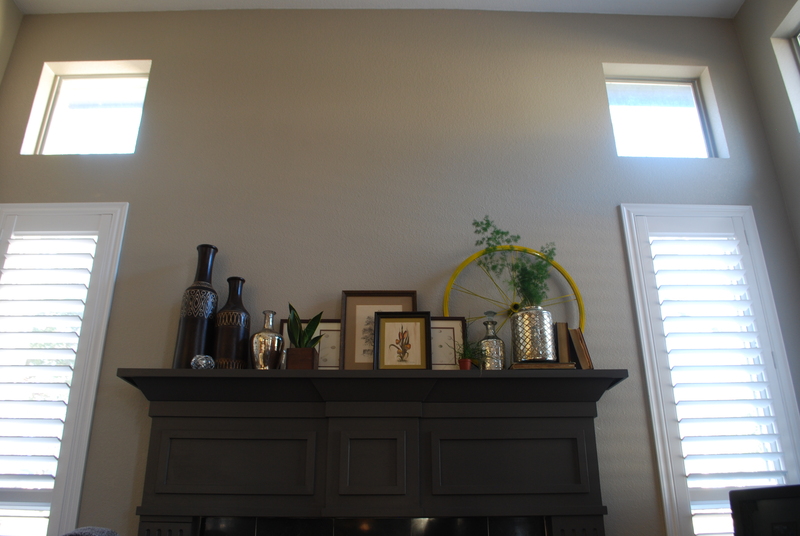 Anyways, it was finally installed, and now I’m getting ready to paint it, along with the new modern trim we installed. We still need to find mirrors for her closet doors, but I’m bound and determined to finish the entire room by next week. I’m dying to post a tour. I’ve also been playing around with the mantle in the study. It’s been a little looking a little “stuffy”. I recently scored some old shutters that I think I’ll try up there (haven’t picked them up just yet), but I really want to try some slightly more whimsical touches, so I threw up an old bicycle wheel that came from the hubby’s bike. Spray painted yellow, I think it might be the start of the direction I want to take. Not everything here will make the cut; this is just where things have landed lately. 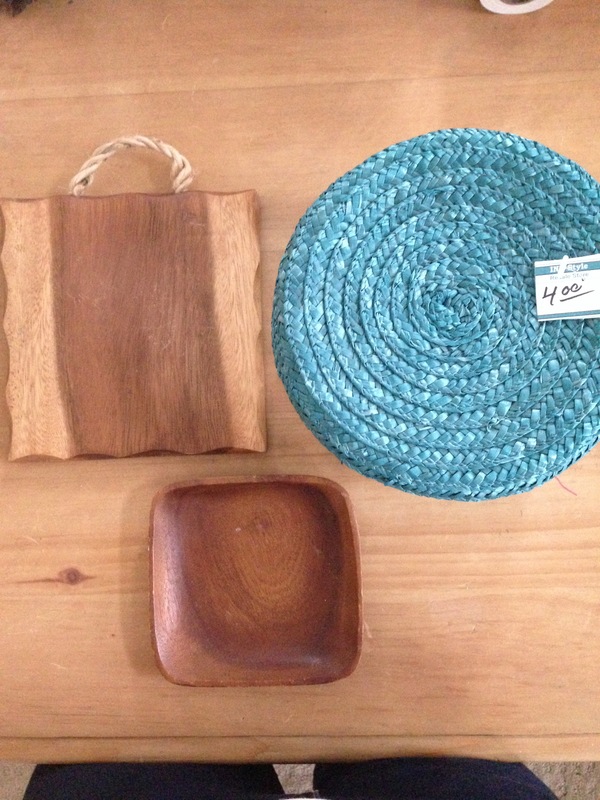 My favorite little styling display so far is in the dining room. 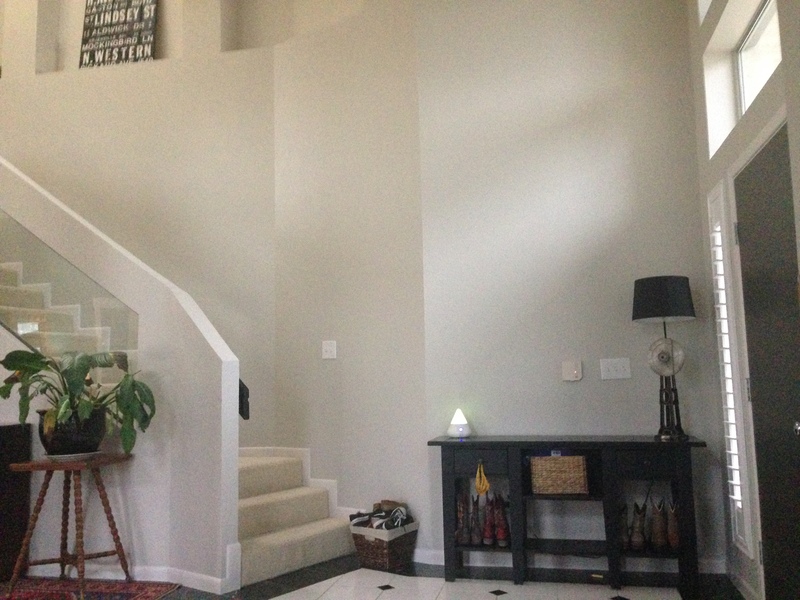 I’ve been tweaking this room since we painted it a few weeks ago. I’ll be excited to post a tour of it as well, but for now it’s been taken over by a school group project. I’ve given up on keeping it clean and tidy until after that’s over, and the buffet is the only spot that I won’t let them touch. It’s hump day, which means the rest of the week is downhill from here. Make it a good ride! 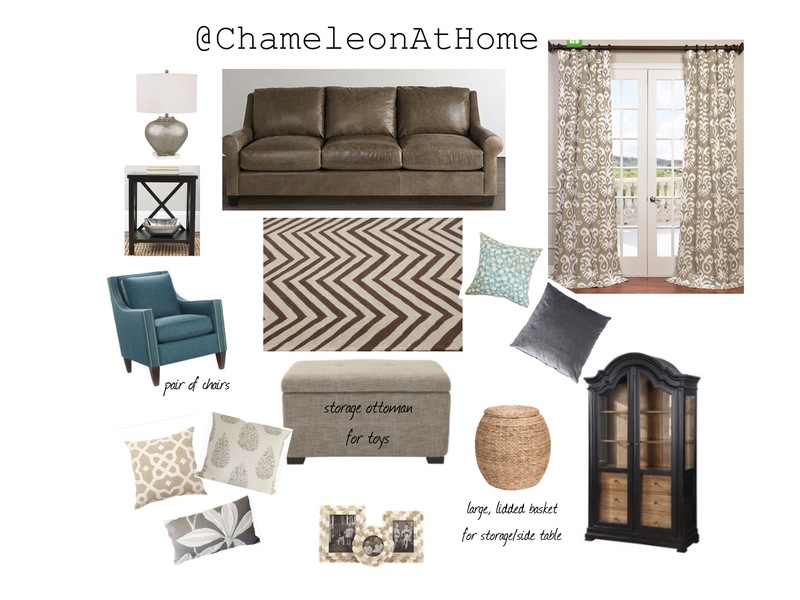 Step 2: Since she already has a leather sectional and the rug pictured, I suggest starting with the curtains, Roman shades, and pillows. Focus on neutral colors and modern prints. If you have $$ leftover, replace your existing ottoman for one that has storage for all of the kids’ toys. Step 3: Attack the kitchen. 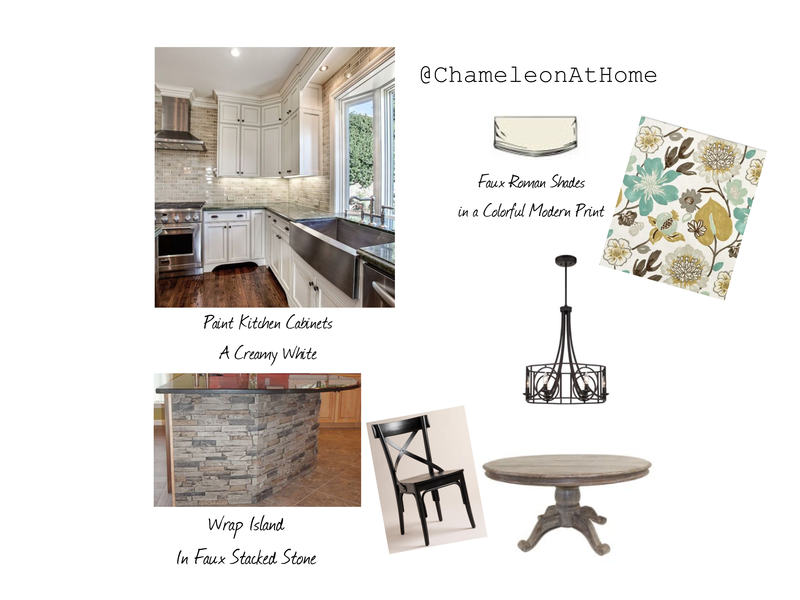 Paint the cabinets a creamy white and wrap the island in faux stacked-stone. Step 4: It’s time for new furniture! A new leather sofa and a pair of chairs in a bright color will instantly open up the room and add interest by mixing textures and colors. 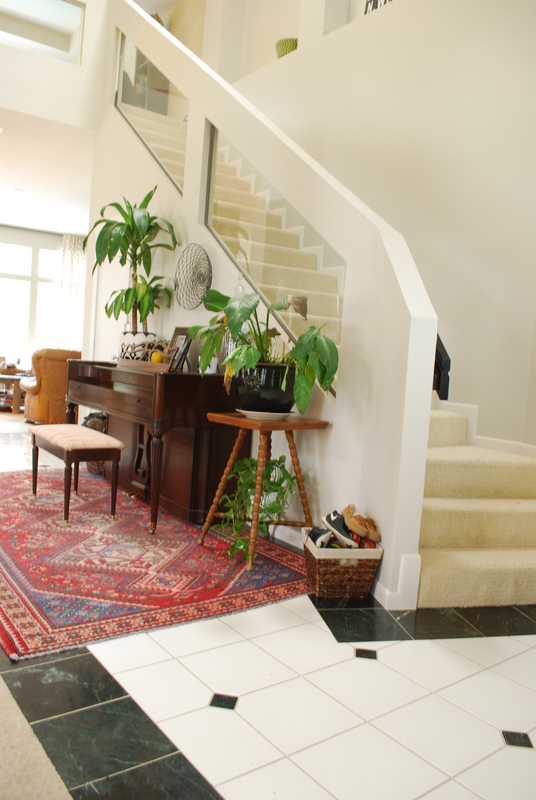 Step 5: Breakfast room. 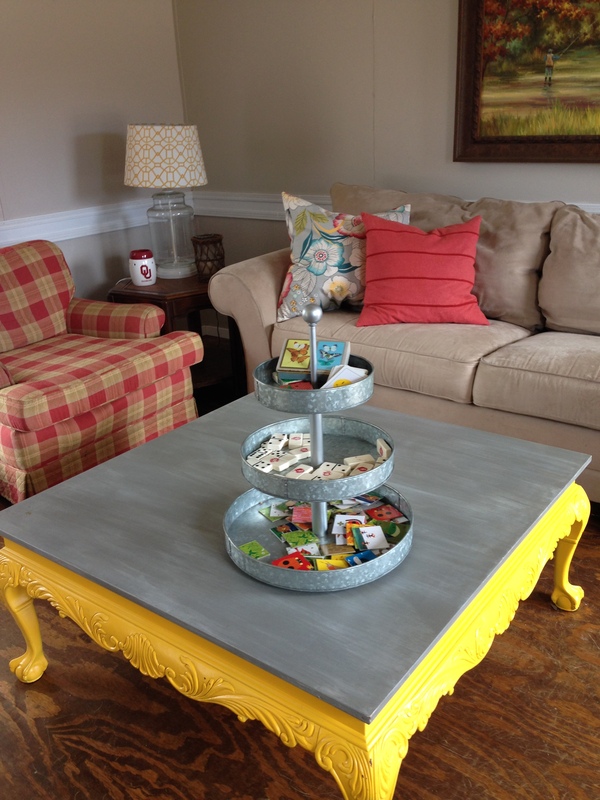 A new round table and chairs in interesting finishes will update the room instantly. The black chairs will tie into the existing black television unit, as will a new chandelier in a bronze finish. No matter the budget, big changes are possible. Hopefully by following these steps, she can get the biggest bang for her buck. I’ll look forward to seeing when the transformation starts to take place.